When your business grows to the point of hiring a salesperson, it’s exciting and stressful at the same time. We recently hired three new reps and ended up firing one on the first day! On one hand, a sales development rep (SDR) can increase accounts and shorten the buying cycle—all while you are freed up to focus on growth. That said, you are also hiring a full-time employee. You’re saying, “I’ll pay your living (at least in part)” to another human being. That’s deep and takes time, training, and resources to accomplish. You obviously don’t want to hire someone that will stall/slow your growth (we would argue that a salesperson should be toward the top). 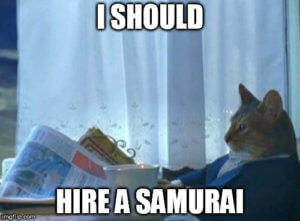 We’ve written on hiring your first sales role a couple of times. But even all the wealth of hiring knowledge in the world may not prepare you, or your new hire, for the variables that await you both in the first few months. No, this post is not to depress you. It’s to prepare you. Prepare you for the reality that, despite your best efforts, hiring a salesperson is tough business. But it’s also to show you the common reasons why early reps depart and how you can extend that lifecycle and save yourself some heartache, time, and money. It’s totally possible to hire someone quickly. A sales role can be filled within several days, but only if you have your process set up first. When hiring a salesperson, too many small businesses hire for a new position with the mindset that you’ll cross bridges when you come to them. This attitude will likely leave more than one person falling off said proverbial bridge. Have a Hiring Process: We have a brutal series of seven steps that we wrote about here. Feel free to use them for your first hire. Bring in Help: Ask a colleague or the hire’s potential supervisor (not other employees) to help you out. Either in narrowing down candidates or helping you sort through the applicants. 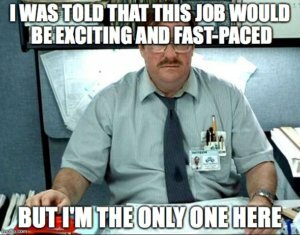 Don’t Rush: You don’t want to sit on the fence too long, but don’t move forward until you’ve gone over all the foundational issues you’ll need from the person you’re hiring. Even a well-thought-out process will still have holes. Holes that won’t be noticed until you start running leads down your salesperson’s pipeline. These problems will require changes, and some of them won’t be appreciated by your hire. If you change up the sale process, they could begin to flounder. Changing the compensation plan can always ruffle feathers. And if your product/service is young, new sales people may not be able to gain a valid understanding fast enough. Honesty is the Best Policy: When hiring a salesperson, tell them during the hiring process of things that you know may change and a blanket “everything is subject to change” wouldn’t be a bad idea. Do Your Homework: Don’t just set a commission rate. You may want to go with more salary than commission at first, until you can see how much things will change (for their stability). Maybe a six-month salary at the end of which you’ll “evaluate” their performance and have time to figure out how much you can afford to give them for each sale. Spend Time: Product and service changes will always happen, but depending on how well you communicate them to your sales team, you’ll have a better (or worse) performance. Spend personal time communicating the changes—don’t just send a memo. If you’re not the greatest at sales, a rep can be a wonderful dream of yours. Someone to take all the responsibility of closing. While this can happen (eventually), it’s not going to if you don’t give them the steps to success. There are some rogues out there who can set up their own processes, but you’ll never know how well these hotshots are taking care of your customers. You need to have guidelines and set processes to prolong your first salesperson. Get a CRM: We go over tools a little lower in this post, but a CRM has transcended the “tool” label and is a necessity in any sales role. Pick a good one. 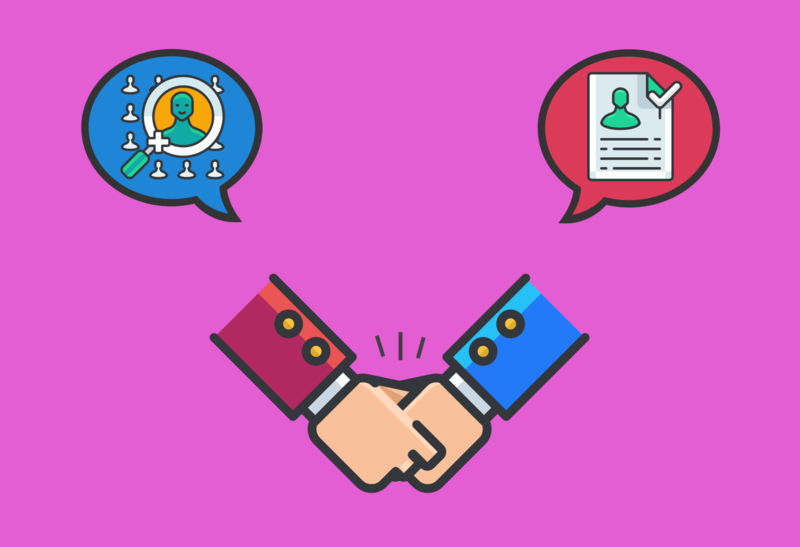 Write Down Your Process: What have you done to acquire clients? Write all of that down, including typical scripts, and turn it into a process. Learn Better Processes: Take some time and see what is working for similar organizations. Look at those processes and adapt yours over time. Everyone who “punches a clock” wants to know how they’re doing. Giving someone an evaluation in six months is good, but people want to know what’s expected of them day by day. Of course, you don’t want someone always asking, “How am I doing, boss?” And some people will look for other employment before asking for a better since of what you want. Do the Math: How many accounts do you acquire now? How many months do you think it’ll take you to train the new rep? Well, that gives them (and you) a ballpark. Meet Regularly: If your staff is small, it can actually be harder to have that serious “just me and you talking about work” time. Make it happen…regularly. You Get Better, Too: We all want our staff to improve over time, but we often times drop the ball ourselves. Get better at setting expectations and helping your team meet them. Our fifth and most somber point. Most small businesses only have the budget to hire one person at a time. You have to write down all the roles that you need and start at the most important one and work your way down from there. We get that and that’s why this one is a bit sad. You may not have the budget for two sales reps.
Over a short time, your salesperson will either stall, get bored, or possibly overwhelmed. There are a couple of things you can do. Be Their Competition: Ok, if you’re good at selling your product it would be like a parent challenging their toddler to a game. But, as you transfer the responsibility, they could beat you in their 40 hours versus your 10 doing the same role. Set Good Goals: Make themselves their competition by setting stretch goals and compensating them with bonuses or rewards (paid-time-off, gifts, etc.). Hire Two: When hiring a salesperson, hire at least two. Not all businesses can afford this initially, but even if it’s just for a month or two you’ll find that one clearly better than the other and you’ll have some baselines to measure against going forward. Ok, maybe this is the saddest point. Hiring a salesperson isn’t easy, but firing your first salesperson is even harder (unless you’re cold-hearted). Sometimes the best hiring process, training, and communication allow for those who probably shouldn’t have made it in—to make it in. Only time can realize this has happened. There is only one option here. Check yourself and make sure it’s not for any other reason than just an overall lack of ability—then fire them. If they show up for work and try, give them a glowing recommendation for something other than a sales role. You can even help them find work, or move them to another position they’d be good at. However, you can’t keep them in that role. We already mentioned the CRM, but there are other tools that have become necessary in today’s sales environment. On the opposite side of that coin, there are tools that reps shouldn’t use due to their lack of ROI. Striking the balance is tough, but you’ll have to go through and decide which ones actually work for your business. The wrong toolkit can set your reps up for failure. They’ll waste time on ones they shouldn’t be and may not have the things that would help them acquire more accounts. If you’re a B2B, LinkedIn tools (like Sales Navigator) would be a likely one. If you’re an agency, Buffer and several other social tools would probably line the desktops of your rep. But we are talking about sales, right? What about a lead gen tool? Maybe one that can automatically generate leads and send a series of cold emails (that someone helps you write)? If that tool exists, you and your reps would only have to speak with those leads who were interested in talking with you. It exists! Yes, your first salesperson has a lower survival rate than we’d like. But fear of hiring the wrong person and getting them to stay until they retire isn’t your (main) concern. The business ain’t gonna grow itself. It takes strategy, process, and people to make that happen. And you can only get so far with only strategy and process. Real scale is impossible without real people. Hiring a salesperson currently? 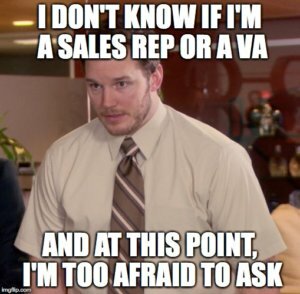 Are you looking to hire your first rep? Or, if you have, how long did they last? I’m really curious to know so leave your thoughts in the comments below! Talent management in a small or a large organisation is definitely a complex task. The fact is that the most important stage of hiring should start way before the interview process. Identifying the right set of skills needed by the team is key as there are many types of sales reps and defining the exact one the organisation needs is really important. The content produced for recruitment is also of major importance if the business wishes to attract the right candidates.